Some fruit growers have erected electrified grid systems above their fruit trees to kill flying-foxes as they fly through an orchard. Most are in north Queensland in lychee orchards. The Queensland Government banned the use of electric grids in 2001 on the basis that they were inhumane. 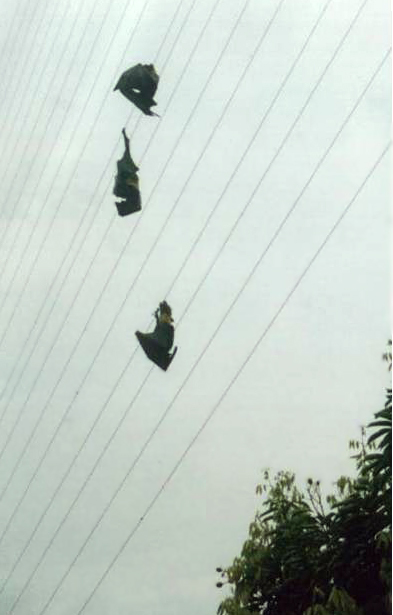 This occurred after a conservationist took action in the Federal Court to stop the use of electric grids on a very large lychee orchard, after documenting that 300-500 Spectacled flying-foxes were being electrocuted nightly. Unfortunately, the Government did not ban the existence of electric grids, so there remains the potential for illegal operation of grids. The LNP says if it wins government, it will allow farmers to use lethal methods to kill flying-foxes. The party has refused to rule out permitting farmers to use electric grids once again. Electric grids are inhumane, large-scale killers. The Federal Court found that about 18,000 Spectacled flying-foxes were killed on just one grid system in north Queensland in 2000-2001 over about 8 weeks. 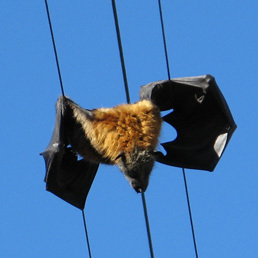 Hundreds of flying-foxes are also electrocuted annually on powerlines in Australia. This occurs when they make contact with two wires. Electrocuted flying-foxes die from cardiac fibrillation (heart attack) or asphyxiation (paralysis of respiratory muscles). This may take several minutes or longer, depending on the pathway of the electric current. 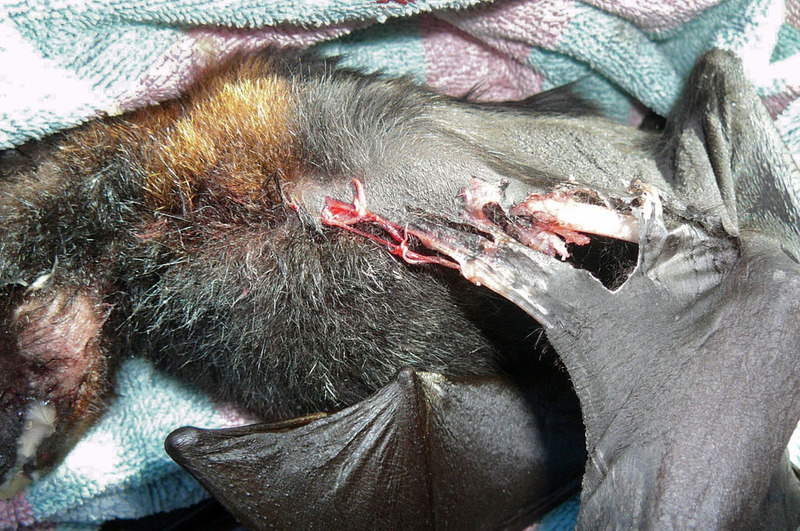 If flying-foxes escape from a grid or powerline, they will usually die from electrical burns or starvation. 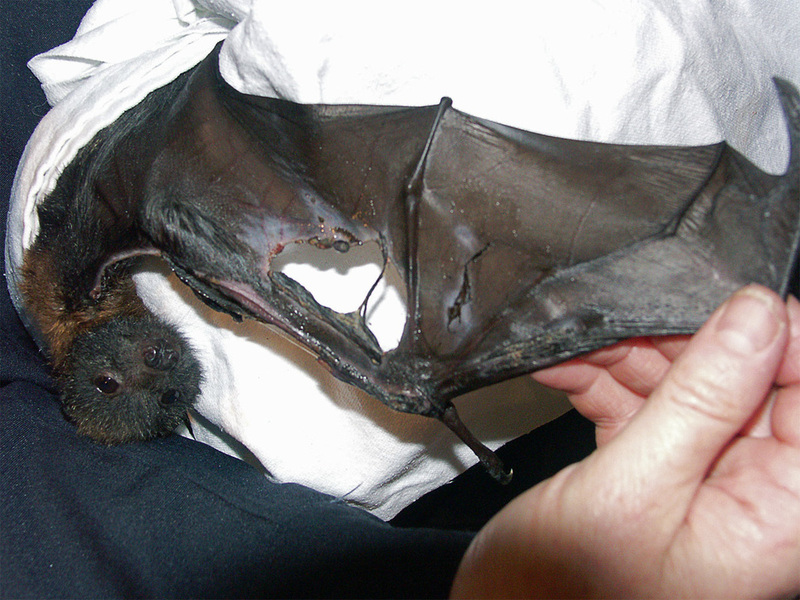 Wildlife care organisations have rescued many flying-foxes with horrific electoral injuries. Most have to be euthanased. Electrocution is only humane if an animal is first rendered unconscious by a current applied through the brain. This does not occur on electric grids or powerlines. Many young flying-foxes also die when their mother is electrocuted. If they are with their mother (for the first 3 weeks of life) they may be electrocuted as well. But even if they escape electrocution they will die of starvation, whether clinging to their mother or in the roost site. In towns and cities, good Samaritans call wildlife rescue organisations, who liaise with electricity companies to retrieve the living young and raise it for eventual return to the wild.. The respondents have a large lychee orchard which is approximately sixty hectares in area. A series of fourteen aerial electric fences erected in a grid pattern (“the Grid”) has been constructed within their lychee orchard. 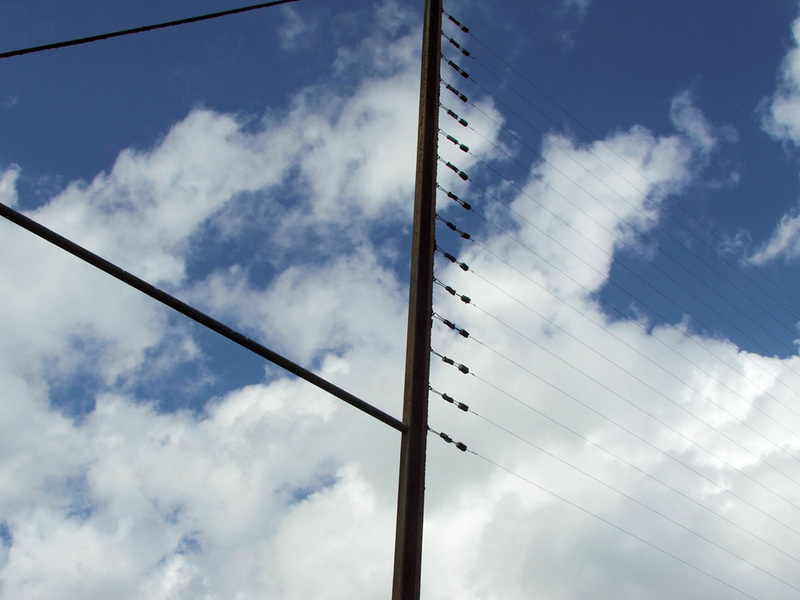 Each individual grid line consists of twenty horizontal wires, spaced 25cm apart, strung between poles 4.4m to 9.0m in height with the total length of the electric grids being 6.4km. The admitted purpose for which the Grid is operated is to electrocute flying foxes that approach, fly between or depart from the respondents’ lychee orchard. Three successful Queensland court cases, initiated in 2000, 2004 and 2006 by a conservationist, have highlighted the potential for large-scaling illegal killing on electric grids. They were brought with support from numerous lawyers, flying-fox experts, community groups and individuals. The Environmental Defenders Office (an NGO specialising in environmental law) provided legal representation, with barristers Stephen Keim SC and Dr Chris McGrath as the major advocates in court. The short summaries below are extracts from the website of the Environmental Defenders Office. 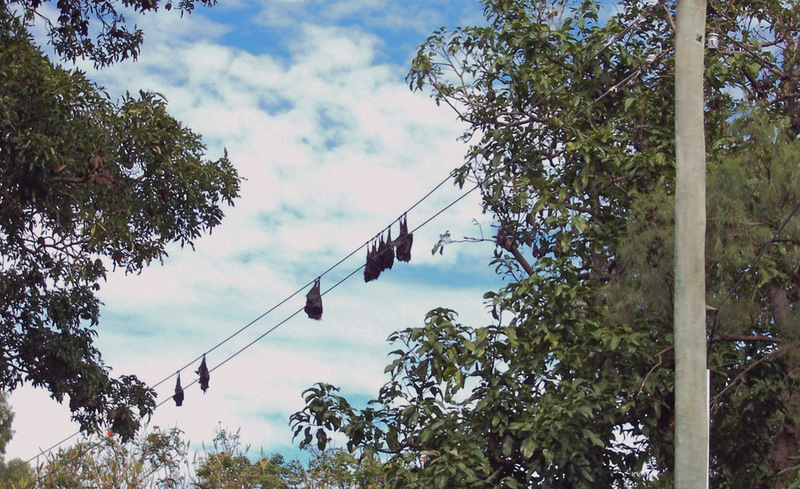 Hundreds of spectacled flying-foxes hung limply from electrical wires rising 5 metres above a crop of ripening lychees. More bodies littered the ground. This horrifying carnage greeted conservationist Dr Carol Booth as she tramped around one of Australia’s largest lychee orchards one early morning in November 2000. 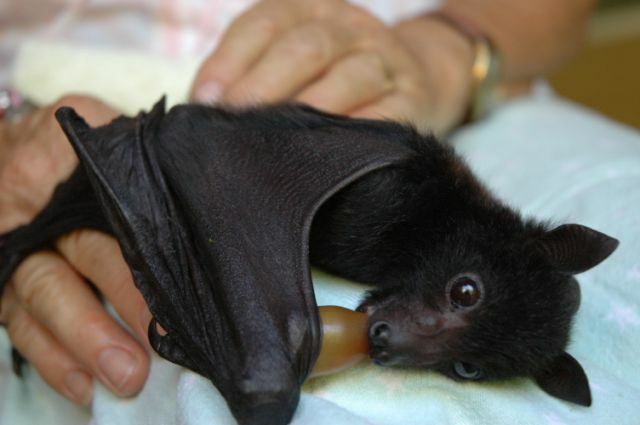 The lychee growers had no permit to kill flying-foxes, but neither the Queensland nor Federal Governments was willing to stop them. So, represented by EDO Qld, Carol turned to the courts in the very first case under new federal environment laws (the Environmental Protection and Biodiversity Conservation Act 1999) and succeeded in gaining an injunction to stop further electrocution. Australia’s Federal Court found that operation of the electric grid was likely to result in the spectacled flying-fox becoming endangered within five years and thereby have a significant impact on the values of the Wet Tropics World Heritage Area. The Booth v Bosworth case established powerful precedents. It demonstrated the power of third party standing (the capacity for community groups and citizens to enforce laws) to drive environmental reform. It brought to an end the large-scale electrocution of flying-foxes in Queensland, and showed that federal laws could be used to protect the values of World Heritage Areas by regulating actions outside their boundaries. 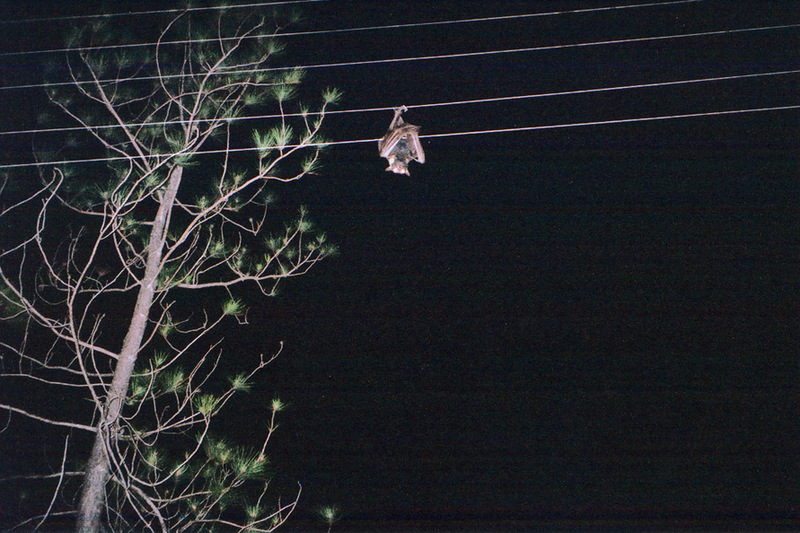 When 29 dead flying-foxes were discovered on the same property in December 2004, Carol, represented by EDO Qld and barrister Chris McGrath, sought an injunction against use of the electric grids by farmers Mervyn and Pamela Thomas and their company Frippery Pty Ltd and a court order for grid dismantlement. This was the first case to use new third party rights under Queensland’s Nature Conservation Act. An interim injunction to restrain use of the grid was granted by consent to prevent killings until the main hearing. ... Electric grids had been used by the Thomases since at least 1987 but no permit authorising their use to take flying-foxes had ever been obtained (a permit was required from 1994 onwards after flying-foxes became protected species under the Nature Conservation Act). In late 2006, Judge Wilson granted the injunction and ordered that the Yardleys dismantle their electric grids within three months.